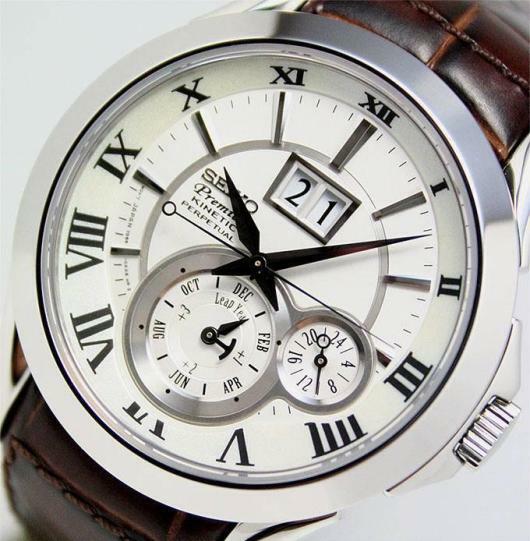 You can pay extremely serious money for a good quality mechanical perpetual calendar watch, or you can pay as little as $550 and get yourself the kinetic quartz powered Seiko Premier SNP023 accurate to within +/- 15 seconds a month. Once set, the calendar automatically adjusts for odd and even months including leap year February’s right up to February 28, 2100, long after you’ve gone and the grand children are left to worry about it. There’s even a window to indicate the number of years since the last leap year. The stainless steel case measures 41mm and the watch is powered by an automatic kinetic power generator – which, as with all kinetic watches, stores energy through the motion of your wrist. When the watch senses 24 hours of inactivity it puts itself into suspended animation (sleep mode) to conserve energy. The date remains accurate while the watch is asleep and you can wake it up with just a couple of shakes. It then automatically resets itself to the correct time even though the watch has remained dormant for anything up to four years. You can quickly check the amount of charge left with an energy depletion indicator. There’s also a device which stops the watch from overcharging. 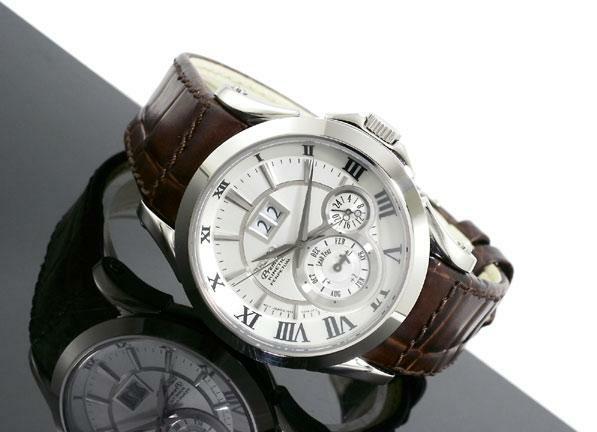 The dial features classic Roman numerals, at 6 o’ clock there are 12 month and 24 hour subdials, the latter of which is handy for the time when Iran has progressed its nuclear program to the point where you are in a nuclear fall-out shelter and have no idea whether it’s night or day. The Seiko Premier SNP023 is generously proportioned with a large fluted crown and an easy to read oversized dual date windows. 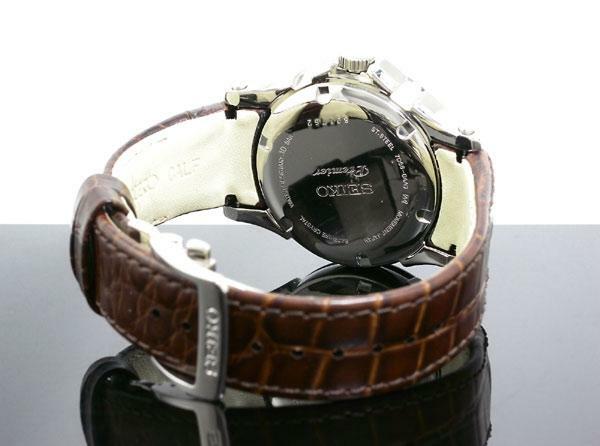 The watch comes on a dark brown leather watch strap with a quick release push-button deployment clasp. With scratch-resistant sapphire crystal and water resistance to 100 metres, there are plenty of Swiss brands that would be more than tempted to stick a $2000+ price tag on a watch of this quality, so it’s a lot of watch for the money.